South Shields FC can confirm that striker David Foley has left the club to join Spennymoor Town. 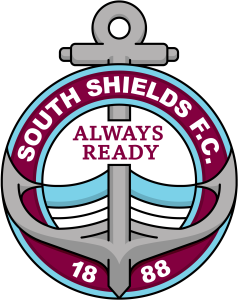 David was offered a contract to stay with South Shields on improved terms, and the club did everything within its reasonable power to keep him. Losing a player of David’s quality is something we very much wished to prevent, but it ultimately proved to be unavoidable. David himself has indicated that he would like the opportunity to compete at a higher level with Spennymoor in National League North, and we wish him well in his future endeavours. We would also like to thank him for all of his terrific efforts over the last two years, and the role he has played in helping the club to back-to-back promotions, and five trophies.